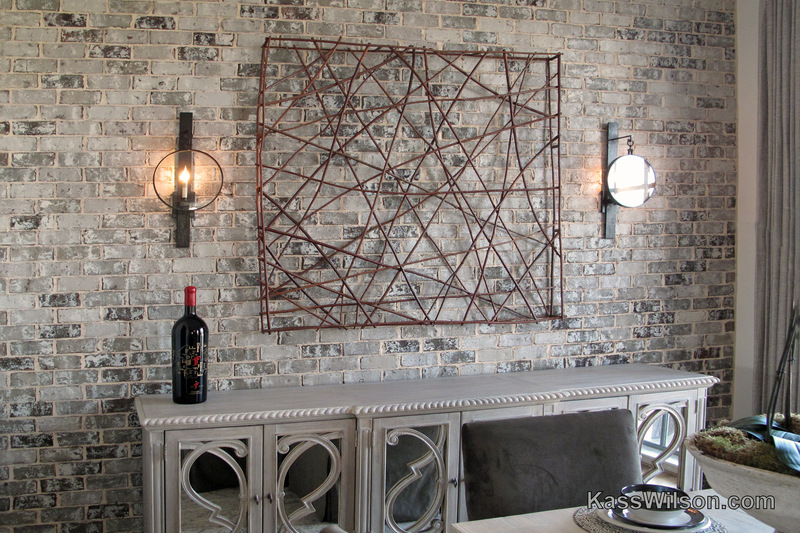 If you are fortunate enough to have a brick wall in your home, you have hit the design jackpot! 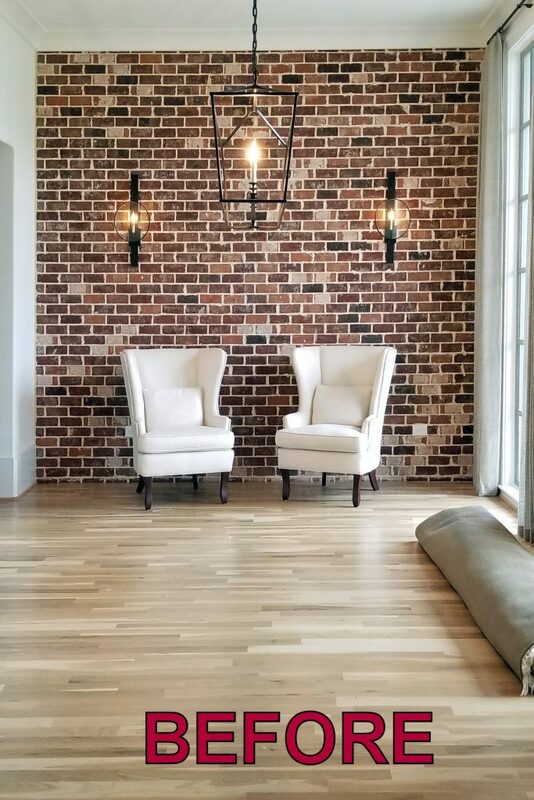 The textural beauty and visual contrast of brick compliments any décor style adding warmth to a space and timeless charm. 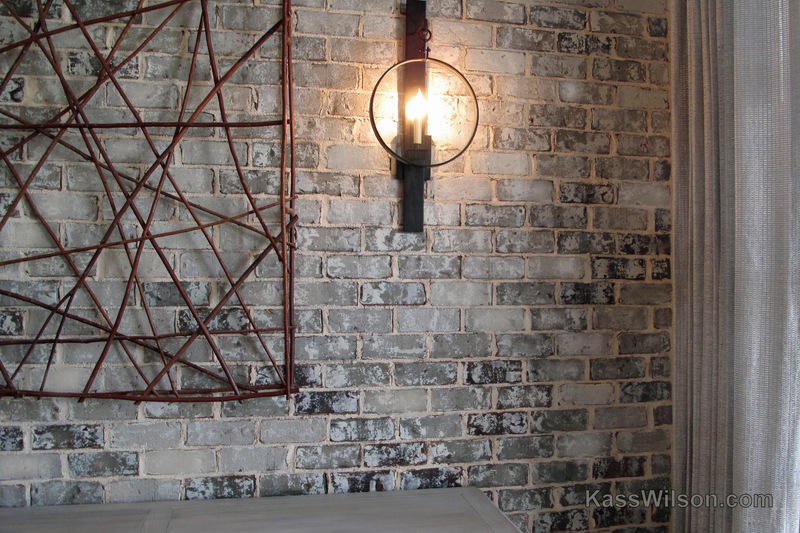 A beautiful wall with exposed brick is a rich nostalgic expression of the past. 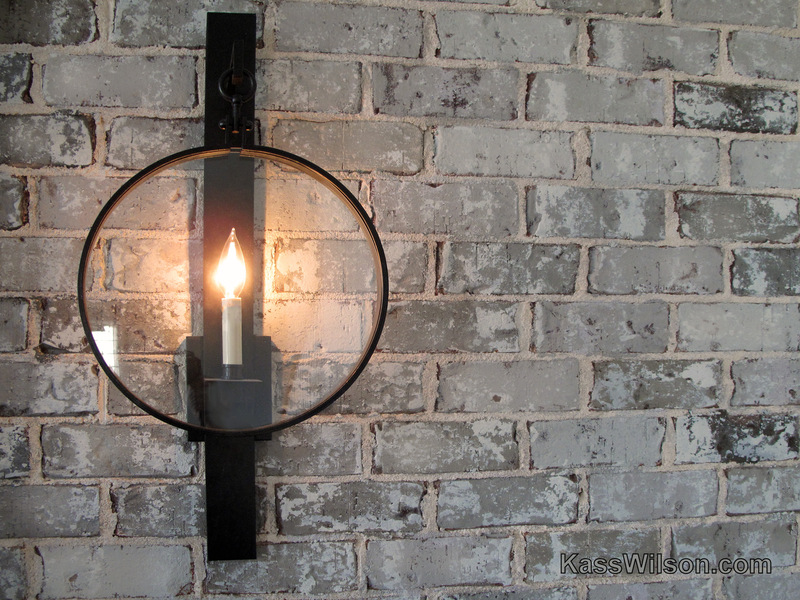 This is what makes it so versatile allowing it to blend easily within modern, contemporary or rustic interiors while also being well suited for traditional styles. 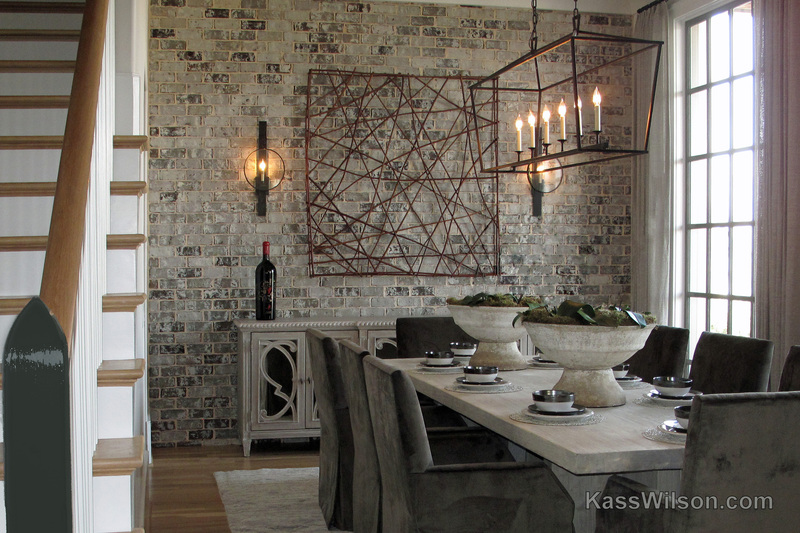 Interior Designer, James Wheeler, recognized that the brick wall in this project could be an amazing focal point that offered a layer of dimension to the dining room. Unfortunately, the color tones did not blend well within the space. The answer was to alter the color with paint. When painting the brick, it was important to maintain the character of the craftsmanship inherent in this organic material. Brick is laid by hand and no two bricks are ever the same. To preserve the authenticity, it needed to be painted brick by brick. We selected hues that echoed the color tones within the space. 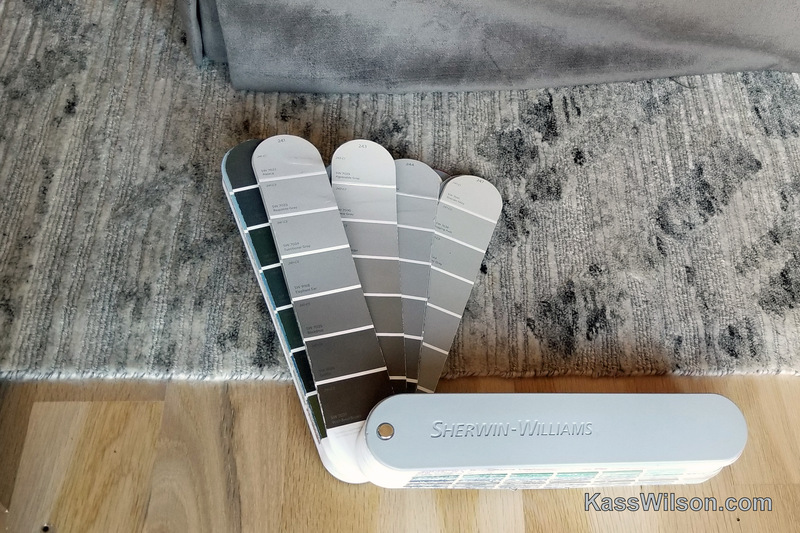 James requested a subtle ombre effect that put more of the dark values lower on the wall behind the console for visual weight. Emphasizing lighter tones above provided the perfect backdrop that allowed the sconces to stand out as prominent features. 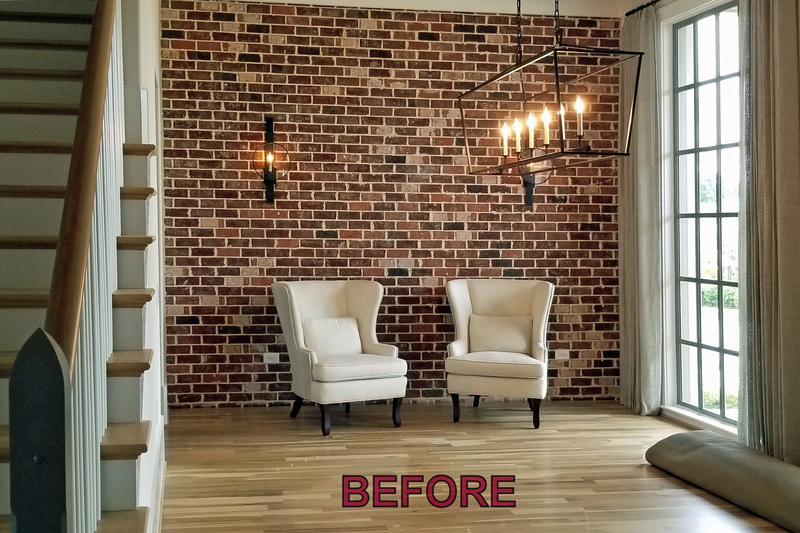 Despite the original color, this brick accent wall became a blank canvas that was specifically planned to showcase the natural texture in a colorful new way. The faux finish of new tones made it cohesive with the furnishings and brought out the best in the design of this exquisite space. If you would like copies of these photos, they are available upon request.